Below you will find information on 16 different types of 3D printing materials. Chances are that even if you are a 3D printing expert you will learn something new in this guide. You can try magnetic, glow-in-the-dark, or even conductive filaments. Before we get into 3D materials, it helps to look at the 2D printing process we’ve all come to know. All printers need some kind of substance to print with. For 2D printing, we’re most familiar with inkjet printers that use liquid inks. These machines extrude ink through microscopic nozzles onto papers. 2D laser printers also print to papers. Instead of ink, they use a toner cartridge filled with a special type of fine powder and a heated fuser. 2D printing produces two-dimensional, flat, results that have width and height but no depth (thickness). Pigment-based and solid inks are other materials used for printing in 2D. Today, we can also print in 3D with special machines and printing materials. There’s a distinct difference between the two technologies. 3D printers build real-world objects, whereas 2D printers publish text and graphics on papers. Before either machine can print, they need computer-generated, digital files. These files tell the machines what to produce and how to print it based on user preferences. Both types of printers use inks, or materials, to carry out the job. That’s pretty much where the familiarities end. 2D printers can’t build layers to produce real-world objects. Strength: How strong does your printed part have to be? Flexibility: How flexible does your part need to be? Accuracy: How important is precision to your 3D part? Don’t Miss: Best 3D Printing Filament Brands. These are not the only 3D filaments available. We’ll look at other types later in the guide. For now we’ll focus on ABS and PLA, and see what makes them such popular choices. For each material we’ll start with a short introduction followed by the average price, print temperature, and applications. At the end of each 3D material we’ll list its pros and cons. Also worth noting is that not all 3D printers can utilize both ABS and PLA. Some can, but not all, so you need to know your 3D printer capabilities as well as the abilities of the 3D filaments. ABS is popular for good reasons. It’s tough, and has impact-resistant properties. It’s this strength and moderate flexibility that makes it such a great choice for printing in 3D. It’s also easy to extrude from the printer’s nozzles, which makes it an easy material to work with. Don’t Miss: Best ABS Filaments. ABS is a great choice for printing plastic automotive parts, moving parts, musical instruments, kitchen appliances, electronic housings, and various toys, like LEGO. It has other applications too, aside from 3D printing. For example, traditional manufacturers use ABS to make plastic wrap, water bottles, and cups, to name a few uses. 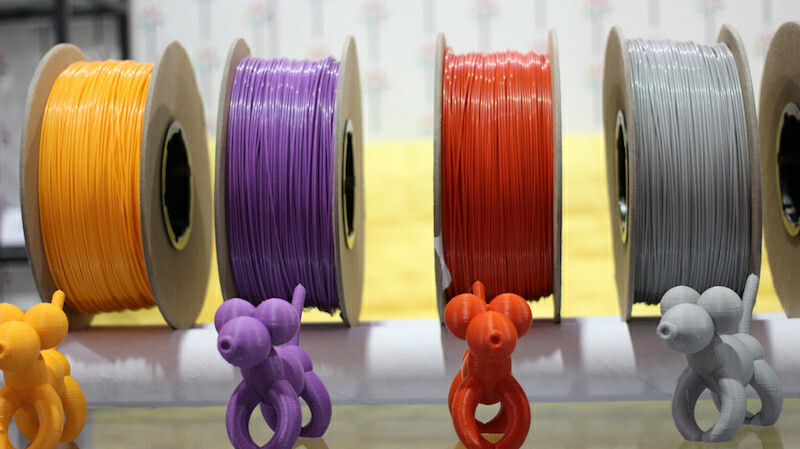 Despite its popularity for 3D printing, ABS is not the best filament for most home users. This is because it has a high melting point that needs to print on a heated surface, or bed. A heated printer bed is not something a lot of budget-range 3D printers come equipped with. Printing with ABS also produces unpleasant fumes that can irritate some people. Needless to say, good ventilation is essential. These things combined make ABS a material favored more by professionals than amateur users. PLA (Poly Lactic Acid) is popular for amateurs and professionals alike. It’s a special type of thermoplastic made from organic materials, namely cornstarch and sugarcane. The main benefits of PLA are that it’s safer and easier to use, and with no toxic fumes to worry about. Some users even find the sweet smell of the sugar-based filament pleasant. Compared to ABS, PLA produces 3D parts which are more aesthetically pleasing. This finish is thanks to its unique sheen and smooth appearance. You might think it sounds like the perfect solution, but there are some drawbacks. For one, the melting point of PLA is much lower than ABS, and that makes it weaker. This matters if you’re printing moving parts or exposing the parts to high temperatures. Both of these things can result in the 3D objects, cracking, warping or even melting. 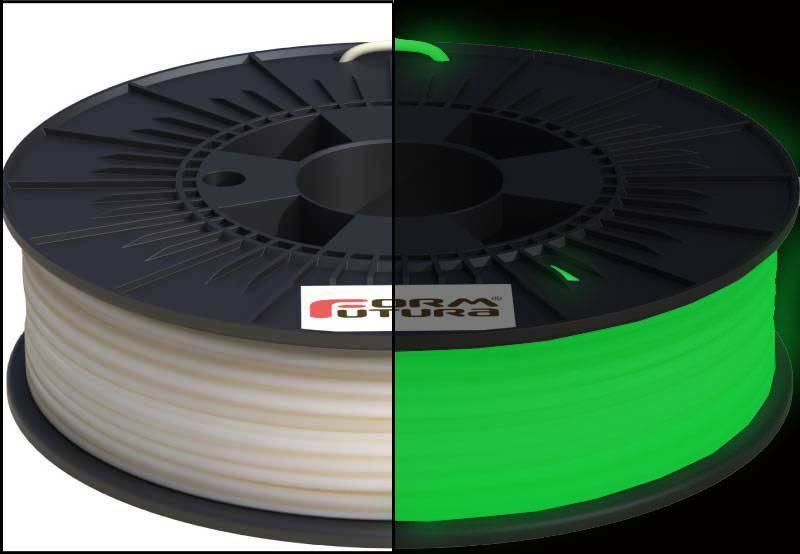 If none of the above applies to you and your 3D projects, then PLA should be your filament of choice. It will award you with superior print details and is also less prone to printing errors during the build process. 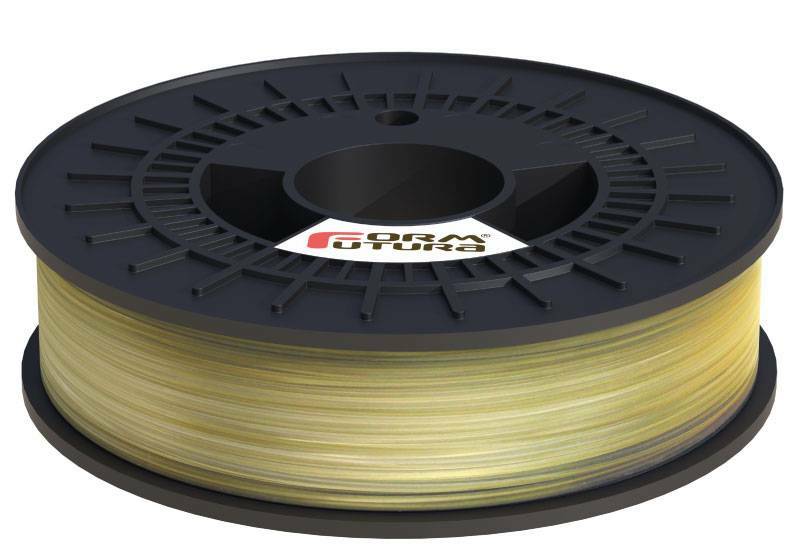 Don’t Miss: Best PLA Filaments. 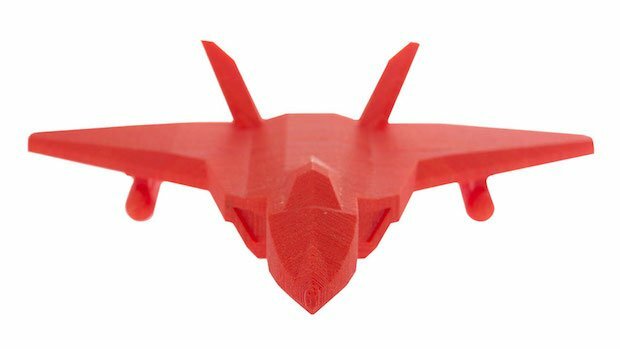 PLA has wide-ranging uses. At the professional level, PLA filament uses include medical suturing (stitching). We can also see PLA used for various surgical implants, including surgically implanted pins, rods, screws, and mesh. The applications work thanks to the material’s degradable properties. All the aforementioned 3D printed parts break down in the human body. They can take anywhere between six months to two years, depending on the part and its purpose. 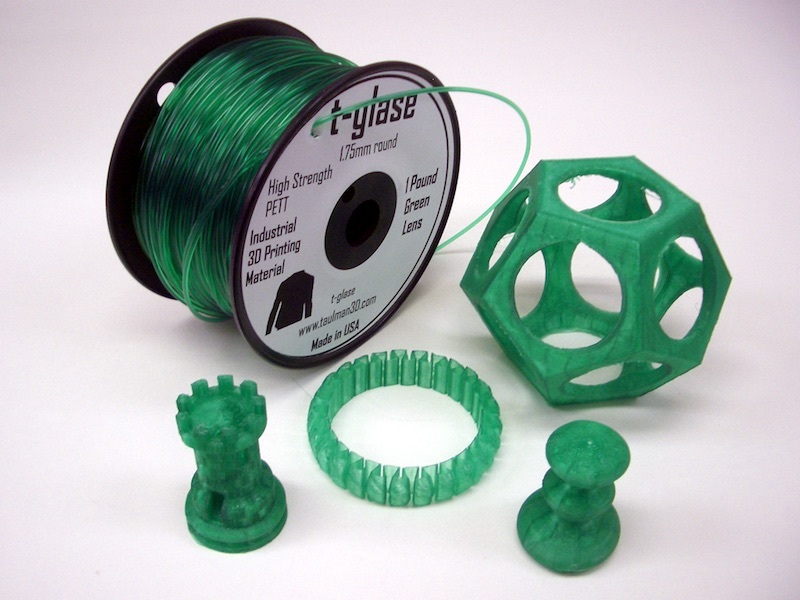 At the amateur level, PLA filament is great for producing a whole range of consumer items. Other benefits of PLA are that it prints faster than ABS, and there’s no need for a heated printer bed. The end products are a decent strength, durable, and offer some degree of impact resistance. Aside from 3D printing, other products that use PLA include food packaging, disposable tableware, and diapers, as a few examples. Today, PolyEthylene Terephthalate (PET) is a popular 3D material. Another common use for PET is in everyday plastic bottles. This plastic is both stable and harmless, emits no unpleasant or harmful odors, and is 100% recyclable. In its raw state, the filament has no color and is crystal clear. Once exposed to cold or heat the material quickly changes to a non-transparent state. A more advanced version if PET is a filament called PETG, also marketed as Amphora AM1800. Don’t Miss: Best PETG Filament. PETT is on a list of FDA approved polymers. This makes it completely ‘food safe’, meaning it’s safe for products like cups, and plates, etc. Needless to say, common applications for PETT filament include food containers and various kitchen utensils. PETT, whose long name is PolyEthylene Trimethylene Terephthalate, is what’s known as a T-Glase filament. Like PET (one ‘T’), it’s also a popular 3D printer material that’s food-friendly. The filament is non-biodegradable, though it is a recyclable material. Don’t Miss: Best PETG Filaments. PETT is another of those FDA-approved polymers. This makes it safe for use with food. The majority of PETT applications are various food containers and other kitchen utensils. Nylon filament, also called polyamide, is another popular choice. This is a synthetic polymer that’s stronger and more durable than ABS and PLA—and cost-effective. It’s also flexible, light, wear-resistant, and less brittle than both ABS and PLA. There are different kinds of nylon filament available, and what you choose will depend on which one suits your budget and needs. The difference between them is in the filament’s layer bonding abilities, tensile strength, and water absorption. You can also choose nylon filament that has a translucent or opaque finish and reduced shrinkage. 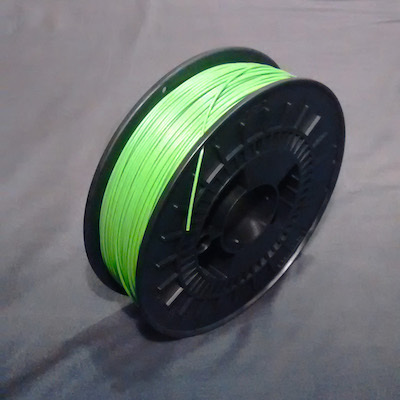 Don’t Miss: Best Nylon Filaments. Nylon filament is great to use in a whole variety of applications thanks to its strength, flexible properties, and durability. It’s particularly suited for various consumer products, tools, mechanical components, machine parts, structural parts, containers, and a much more. PVA (long name Polyvinyl alcohol) is a good 3D filament that’s typical use is as a support material when printing with ABS or PLA. Support materials are necessary when printing 3D parts with notable overhangs. Without the support, these parts would be impossible to print or perfect. As a support material, PVA works best with printers that have duel extruders. This is a biodegradable, non-toxic material that easily dissolves in tap water. All popular desktop FDM printers can use PVA with a heated build platform as this prevents warping during the build process. For best results as a support material, the print bed temperature should not exceed 200 °C. In 3D printing, PVA works as a support material (see above). Aside from 3D printing, PVA has many other applications. We can find it used as a thickener in paper adhesives, in personal hygiene products, as a mold-release agent, kid’s putty, and freshwater fishing products, to name a few. Sandstone filaments offer a unique finish to your 3D printed parts. This is a PLA material that includes a fine chalk powder to produce a stone-like color and texture. It’s also possible to alter the surface characteristics simply by adjusting the printer’s extrusion temperature during the print process. With a little practice, you’ll be able to produce parts that are smooth, rough, or anywhere between the two. 3D sandstone material is a brick filament offered by various suppliers under different product names. The most well-known right now is LayBrick. The creative use of 3D sandstone filaments has few limits, though it’s fair to say that it has a pretty niche usage. It’s most popular for things like landscapes and architectural display models. It seems strange, but yes, 3D wood filaments are very real. It’s a great material for anyone who wants or needs to be more creative with their 3D printed projects. These filaments contain a careful mixture of recycled woods with a special binding polymer. The output model not only looks like real wood, it smells like it too. There’s no shortage of impressive examples online that illustrate the amazing finish wood filaments can produce when printed to perfection. 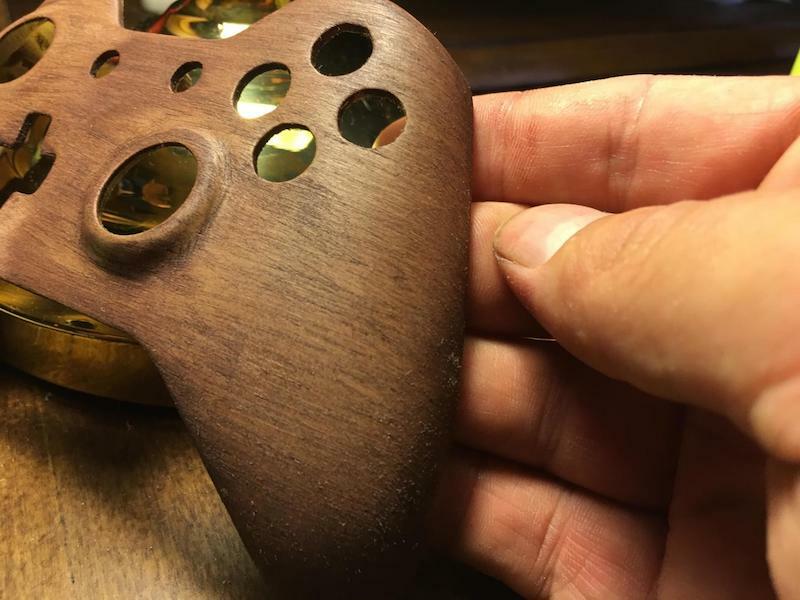 What 3D print enthusiasts use wood filament for has no limits other than their creativity. Use it for décor, ornate boxes, tables and chairs, figurines, and whatever else catches the imagination. Metal filaments are in a league of their own—offering some very impressive, unique finishes to 3D printed parts. The materials consist of PLA combined with a higher percentage of fine metallic powders. The 3D printed parts look and feel just as they would if they had been made of 100% metals. Popular choices include aluminum, brass, bronze, copper, and stainless steel. Anyone who wants more of a creative effect can work on the end piece. For example, you can polish the finished part, or tarnish / weather it so that it looks even more genuine. Although they’re not pure 3D metal parts, they’re pretty close to the real thing. 3D metal filament is perfect for hardware products, jewelry items, statues, replicas of artifacts, and much more. 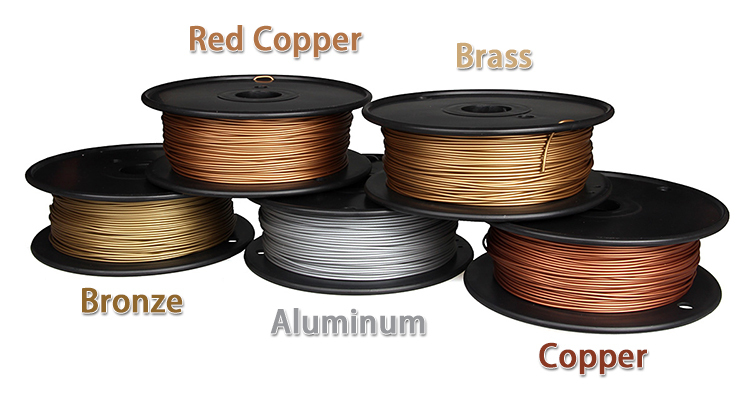 What you print with 3D metals depends a lot on the filaments you choose. High Impact Polystyrene, HIPS for short, is a bright, white colored 3D biodegradable material. It’s safe to use, meaning it has no harmful effects for users who are in close contact with the filament. It’s safe with pets too. Like PVA, HIPS also works as great secondary (support) material. On its own, it’s tricky to use for creating 3D printed parts, especially with printers that don’t have a heated bed. 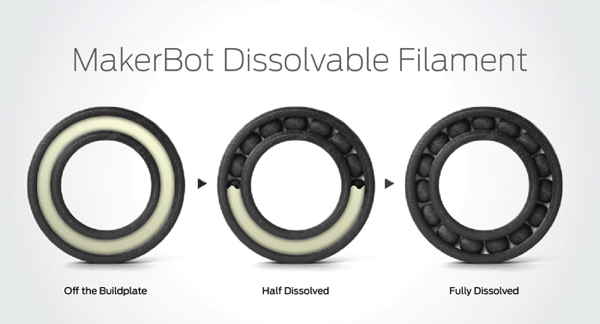 As a support structure, a colorless solution called liquid hydrocarbon quickly dissolves the filament. Don’t Miss: Best HIPS Filaments. For 3D printing, the most common application for HIPS is as a support material for other filaments (see above). Aside from 3D printing, other industries use HIPS because it’s a strong, ridged plastic that they can manipulate to suit their needs. The food industry uses it widely for packaging. Other uses include medicinal trays, signs, all kinds of kid’s toys, and much more. As the name suggests, magnetic iron PLA filament has magnetic properties. This unique filament is PLA material infused with a powdered iron. It’s these iron particles that give the 3D parts their grainy gunmetal type finish. The objects will also stick to magnets, something that could be useful on various creative projects. It’s a specialist material that few will have a need for, but those who do work with it find PLA iron filament invaluable. If you want to produce custom made fridge magnets, and other such novelties, magnetic iron PLA is for you. For home users, this is pretty much a novelty material. For more serious uses, magnetic filament is useful for making various DIY projects, sensors, and educational tools, etc. 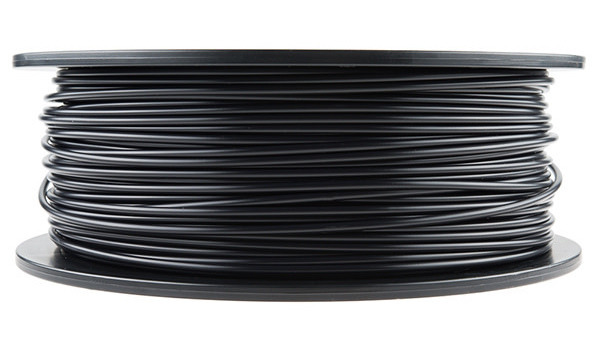 Anyone wanting to broaden their horizons in 3D printing may want to look to conductive PLA 3D printer filament. It’s a special type of 3D material that includes a conductive carbon particulate. Without getting too technical, this means the material is able to print low-voltage electrical circuits. These will typically include sensors and light-emitting diodes (LEDs). When combined with regular PLA filament and a dual-extrusion 3D printer, users can make simple circuit boards direct from the printer’s bed. Note that conductive ABS filament is also available for users who prefer to work with ABS. 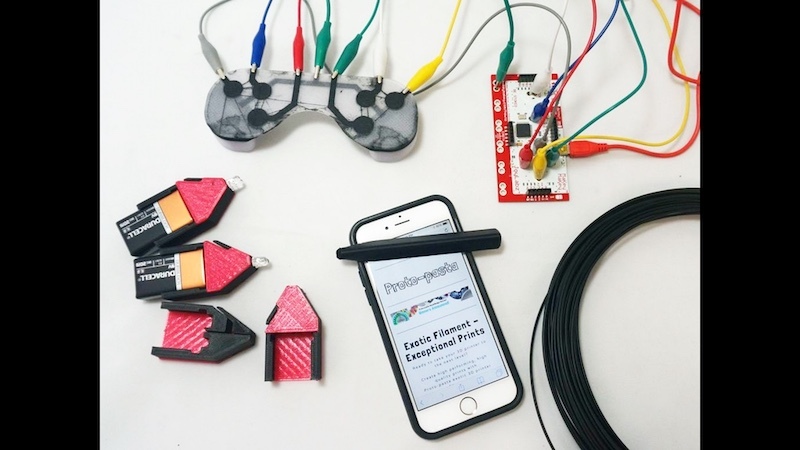 Conductive PLA filament is perfect for open-source electronics platform Arduino projects. If you want to create circuits, LEDs, sensors, and various low-voltage projects, you’ll want explore this filament. Carbon Fiber PLA is an impressive 3D filament. The material contains tiny strands of carbon fiber which results in a material that has an excellent structure. It’s also rigid and has superior layer adhesion. Carbon Fiber PLA shares similar properties with standard PLA but it’s stiffer. It also offers more dimensional stability, which means warp-free printing. 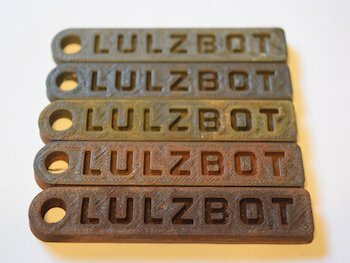 The downside to carbon fiber filament is that its abrasive nature speeds up the wear and tear of printer nozzles, especially those made of brass. Don’t Miss: Best Carbon Fiber Filaments. 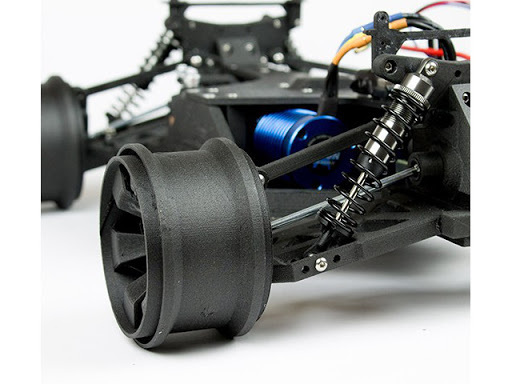 Carbon fiber PLA filament is a great choice for producing high quality and strong objects. This includes items like protective casings, various mechanical parts, and many other high durability uses. 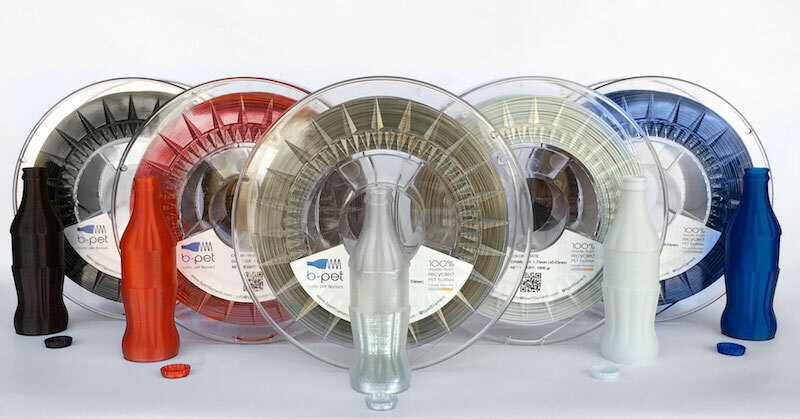 TPE 3D printer filament is easily the most flexible of all the printer materials. It is ‘super stretchy’ because of the thermoplastic elastomers, or TPE for short. It has such high elasticity properties that it feels like real rubber, easily springing back into shape like an elastic band. TPE is great to use with most FDM 3D printers. If you need to fabricate stretchable 3D parts that can endure more punishment than any regular ABS or PLA, this is your material. Don’t Miss: Best TPE Filaments. There are wide ranging applications and industries which benefit from TPE filament. We can see it used in household appliances and the automotive sector. It’s also a popular for kid’s toys, wearables, and smartphone cases, etc. For commercial use, TPE is found in medical supplies, weather seals for windows and doors, electrical insulation, and the soles of footwear, to name a few. The name needs little introduction as this fun filament does exactly what it says on the label—it glows in the dark. It won’t glow indefinitely though, as the 3D printed object needs exposing to a light source to charge it. Once charged it will emit light in whatever colors you have made your part in. A great use for this material it to decorate children’s bedrooms or to make Halloween themes, and other such creative ideas. It’s a safe, environmentally-friendly filament, making it harmless for everyone to use. One of the major drawbacks is that glow-in-the-dark material is abrasive. The problem with abrasive filaments is that they can quickly wear out nozzles, especially brass. If you plan to use glow-in-the-dark 3D printing material often, be sure to install a hardened steel nozzle. Imagination drives many of the uses for this fun material. It’s popular for kid’s toys, wearable gadgets, custom phone cases, and many other novelty items. Some creative artists also find it a great medium to work with for artistic designs. Another, more practical use is for light switches as it makes them easy to find in the dark. 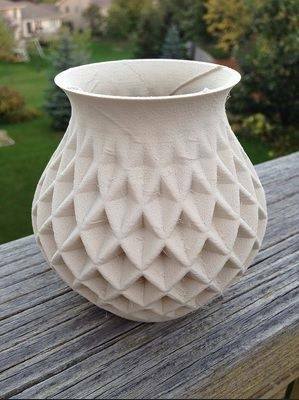 Amphora is a great filament for anyone who wants to produce objects which are lustrous, bright, and opaque. 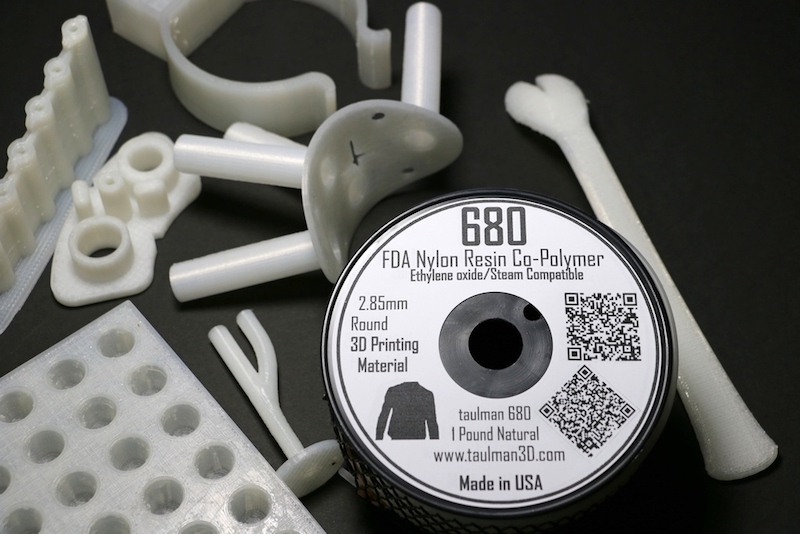 The Eastman Chemical Company created this fancy material specifically for 3D printing. 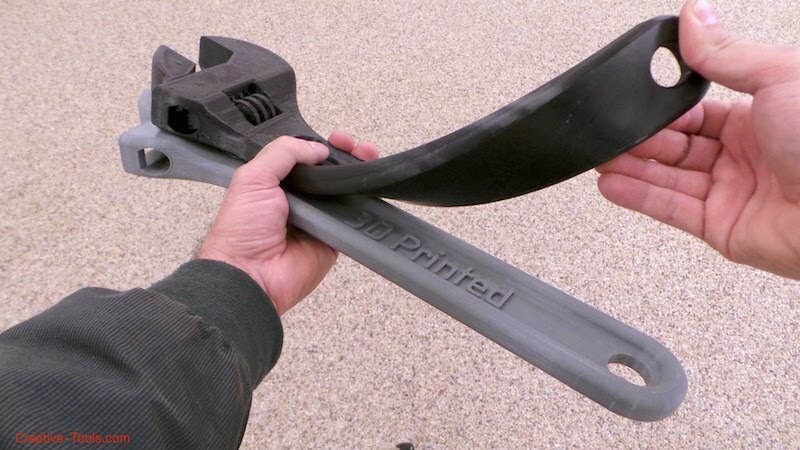 Most common thermoplastics have uses other than 3D printing technologies, but not this one. Amphora is more of a specialist type of lightweight, impact-resistant, 3D printer filament. Common applications include mechanical parts and other objects that need a material that is of excellent strength, highly flexible, and durable. This guide gives you a good insight into the different 3D printer filaments on the market. There are others, but the ones listed here are the most widespread, easy-to-source materials at the time of writing. Before you choose the right filament for your next job, you need to check a few boxes. For example, as well as knowing what you intend to build, you also need to understand your printer’s capabilities. Not all 3D printers are able of printing in all 3D materials. You also need to prepare for trial and error if you plan to experiment with some of the more tricky filaments. Another consideration is the diameter of the filament, either 1.75mm or 3mm. If you’re unsure, always opt for 1.75mm as it’s easier to work with. 3D filament storage is another crucial area to think about. These plastics can absorb moisture from the air which can mess with the printing process. When not in use, a good way to store your 3D filament is to use vacuum bags that have a double zipper line for better, airtight sealing. And finally, don’t allow the cheapest of the cheap filaments tempt you as they could prove to be a false economy. Seriously, low-cost, low-grade 3D printing filaments are more likely to contain chemical impurities. These impurities can result in unsatisfactory printed parts and clogged-up printer nozzles. It might all sound like a lot absorb, but none of this takes long to pick once you start to dabble.